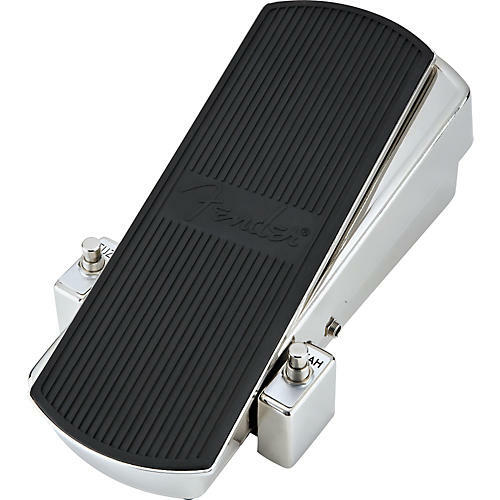 Rugged, full-size fuzz-wah pedal from the brand you trust. Wah Control--Tilt the pedal back and forth. Fuzz Control--Rotate the pedal left and right. Effects Order--Switches the order of the effects in the signal path to provide two distinct sounds. Experiment! Fuzz Volume--Adjusts the volume level of the Fuzz effect so that you can match the volume level of your guitar when Fuzz is turned off. Also try setting it for a Fuzz effect volume boost! Fuzz Switch--Turns the Fuzz effect on-off. Wah--Turns the Wah effect on-off. Input Jack--Plug your guitar (or other audio source) in here. Un-plug the input plug from this jack to turn off the device and save power (very important) when not in use. 9V Battery--Open the battery compartment on the bottom of the unit by removing the thumb screw. Use alkaline batteries. DC Input Jack--Plug in a AC- 9V DC adaptor (Not Included, see specifications) into this jack to eliminate the need for batteries.